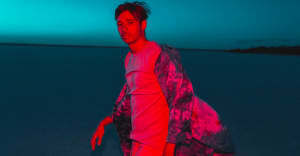 According to the director Clemens Habicht, Flume's new video "is the story of an emotional state—the delicious euphoric pleasure that motivates the sort of mistakes that precede remorse. In a confused state a girl loses control as she gives in to a delirious beautiful and grotesque abandon that blurs the boundaries between reality, sensation and perception as the world she is in melts away." On Instagram, Flume commended the director's efforts: "Was great to work with Clemens Habicht again and to see his vision for the music and @listentokai's lyrics come to life." The clip stars Sophie Lowe and Sam Reid; watch above.